Yes, another Neutrogena post.. but it's leading up to a great giveaway! 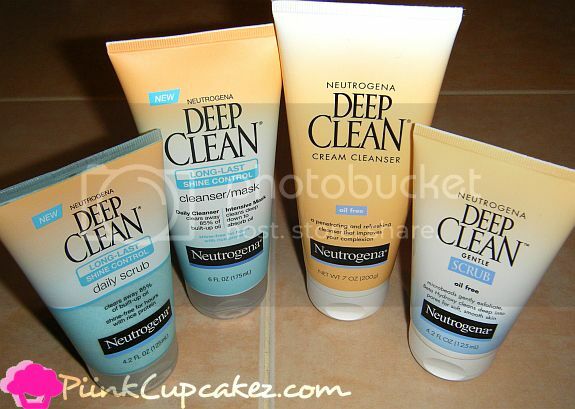 I got to try out some products from the Neutrogena Deep Clean Line. Contains Rice Protein Technology to remove skin impurities and absorb oil on the surface of the skin. Absorbs oil 10X faster than silica or clay. Clinically proven to visibly control shine for up to eight hours. I tried the shine control products and that did not go so well. Let me first say that they smell sooo good. Such a nice and clean scent. It didn't dry my face out at all and left it feeling so soft. I feel like it did keep my face shine free a little bit longer than usual but definitely nowhere near 8 hours(maybe 1-3 hrs). I only used this for about a week and noticed that my skin was looking no bueno and bumpy. I know it had to be the shine control products because if I skipped a day the bumps would disappear. So I dropped that from my daily routine. *I just want to remind you that although a product works or doesn't work for me does not guarantee it will work the same for you. So just because this product gave me bad skin for about a week doesn't mean that you won't think it's amazing. Cleansers that clean so deep down into pores they even remove blackhead-causing dirt and oil for the deepest feeling clean. Effective formula cleans deep down into the pores, dissolving dirt, oil, and makeup. Contains a beta hydroxy acid which washes away dead surface skin cells that can dull the complexion. As for these Deep Clean products, I haven't tried them so I can't give you my opinion. My sister used them and she liked them. She has sensitive skin so many products don't agree with her. They didn't dry out her skin and left it feeling clean and soft. They have a nice, clean scent although I think the shine control products smell a whole lot better. 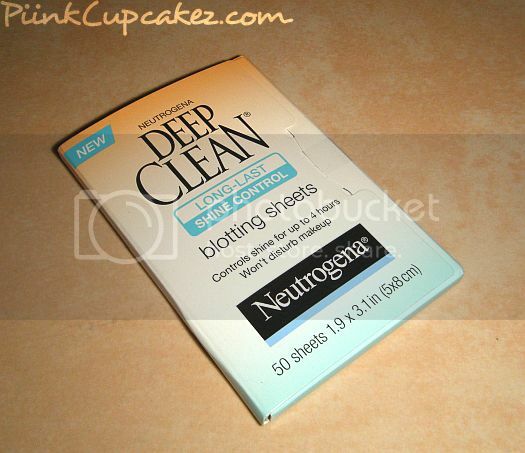 I also got Neutrogena Deep Clean Shine Control Blotting Sheets. I love blotting sheets. I've been keeping these with me at all times. It doesn't leave my skin shine free for up to four hours like they say. To me they seem like any other blotting papers I've tried. I don't really see a difference. 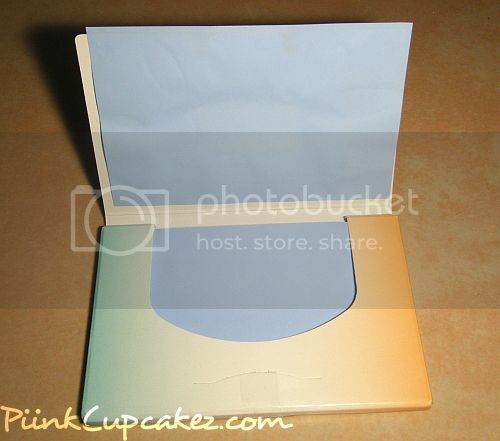 There is a piece of double sided tape on the inside of the flap so that when u open it, it pulls a sheet right out for you.